Hashtags. As social media newbies, every one of us was most likely intimidated by them. We didn’t understand them, couldn’t comprehend their purpose, and their omnipresence was more than a little scary! What WAS that little tic tac toe sign before all those words? At that time we had no idea how very important those symbols were, and how helpful they would come to be as we struggled to keep our posts from getting lost among the hundreds of others washing over our chosen profiles each day. Hashtags got their start on Twitter. Once confined to that platform, they are now used widely on several others, including Google Plus, Instagram, Pinterest, and likely soon, Facebook – where they were met with resistance not so long ago. 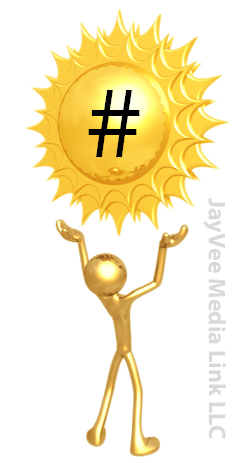 Simply put, hashtags represent categories. If a post contains a specific hashtag, that post is grouped into a file with other posts that also contain that hashtagged word or phrase. There are several advantages to this grouping method. The subject of our categorized posts is easier to track. We need only revisit the hashtagged term. Equally importantly, it enables us to more easily locate other messages on the same topic. Sharing information and opinions on the subject – including with others to whom we are not otherwise connected – can be accomplished smoothly. This in turn affords us an opportunity to forge new connections as we demonstrate our expertise in the hastagged topic. 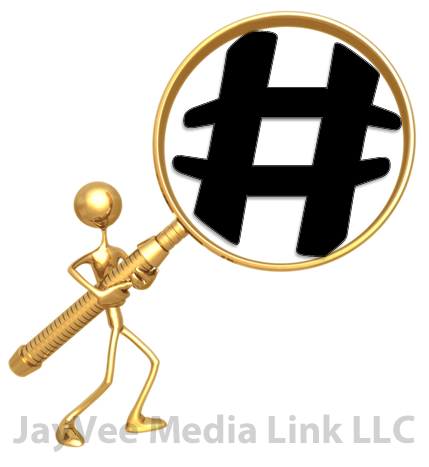 Hashtags are also used to “house” chats on specific topics. They make it easy to locate a particular chat. They also help to keep the discussion focused on the topic, and to respond within the targeted circle of discussion. Of course, all good features come with disclaimers. We must use hashtags carefully. If we wish to create a targeted group, we need to test the term we want to use before adopting it. If it doesn’t already exist, we must take care to consider whether it can be “hijacked” for other purposes – e.g., if it is too general. If it does exist, it’s important to be sure our posts are appropriate to add to it. There is a chance the term that is already in existence carries discussions of a different meaning than the one we intend. Lastly, we must take care not to abuse hashtags, or to overuse them. Otherwise they become spammy. While we may use more than one in a post, we should hashtag only the one or two keywords/phrases that have the most relevance to the topic of the message we are posting. On which social media platforms do YOU use hashtags? How many do you average in a message? Please share your thoughts in the comments section below! This entry was posted in hashtag, media management, Social Media Management/Marketing and tagged hashtag, Jeanine, media management, Social Media Management/Marketing, Vecchiarelli by Jeanine Vecchiarelli. Bookmark the permalink.